Lakeside Terrace is a active 55+ Waterfront Community on Lake Griffin . 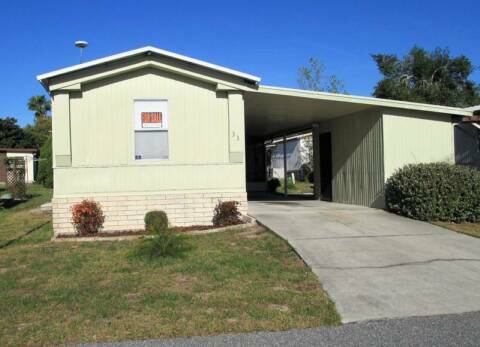 This home is completly remodeled split model, one bedroom and bath at each end of the home. Entire home is freshly painted, large eat in kitchen, living area is very open, bright and spacious. Two large bedrooms including master bedroom with walk in closet and attached master bath. Indoor laundry room with cabinetry. Both bathrooms have all new fixtures, tub and shower enclosures, cabinetry and flooring. Large kitchen with all appliances and pantry. All new flooring throughout, no carpet. Large windows with new horizontal blinds in all rooms. Large clubhouse with billiard room, library, and a lot of activities.